Black Girls Code Opens Tech Exploration Lab at Google NY Headquarters « Adafruit Industries – Makers, hackers, artists, designers and engineers! Nestled inside Google’s New York office is Black Girls CODE, an organization introducing young girls to computer programming. Today, the organization opened a newly redesigned New York Tech Exploration Lab at the headquarters. The nonprofit also announced a new Board of Directors at the grand opening. 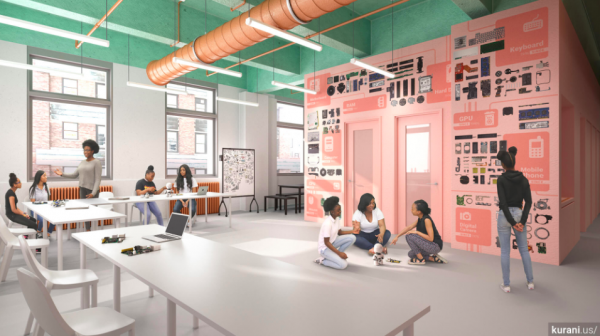 The innovative space is designed to look inside of a computer with the goal of engaging Black Girls CODE students around intimate experiences with new technologies used in workshops on subjects like game development, robotics, virtual reality, blockchain and more.